This weekend, comics fans converge in Bethesda, Maryland, for the Small Press Expo, the annual celebration of independent comics and their creators! CBLDF will be on hand at table W84-87 with books and signings by Tillie Walden, Alex Alice, and Gene Luen Yang! We’ll have signed premiums and CBLDF-exclusive goodies, like the Comics Code Authority enamel pin, perfect for the comics-reading fashionista! 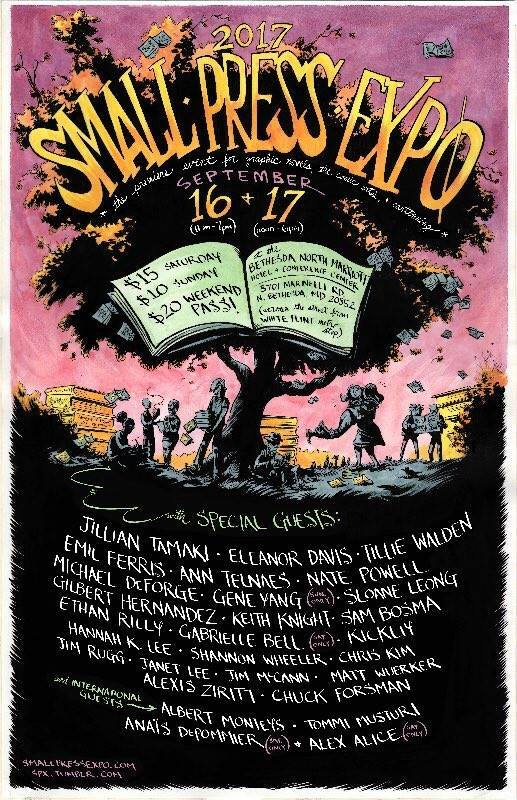 You’ll also be able to grab free copies of the CBLDF Banned Books Week Handbook, featuring a cover by SPX special guest Jillian Tamaki! If you’re in the area on September 15, join CBLDF Executive Director Charles Brownstein at the Library of Congress in Washington, D.C.! Brownstein will be discussing our work and the history of comics censorship in a free one-hour lunchtime talk sponsored by the Library’s Serial & Government Publications Division, which curates and houses a collection of SPX books and paraphernalia in cooperation with the Prints & Photographs Division. A selection of comics from the Library’s collection will also be on display. The free talk will take place on Friday, September 15, from 12:00 – 1:00 p.m. in the West Dining Room (LM 621) on the sixth floor of the Library of Congress Madison Building, 101 Independence Avenue SE, Washington, D.C. Details here. SPX takes place September 16-17 at the Marriott Bethesda North Hotel and Conference Center (5701 Marinelli Road, North Bethesda, MD 20852). We’ll see you all weekend at table W84-87! For more details, visit the SPX website here. All proceeds from CBLDF’s table at SPX benefit CBLDF’s important First Amendment work. 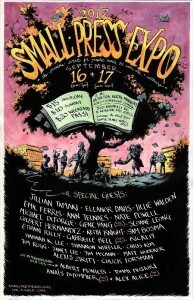 CBLDF is also a charitable beneficiary of SPX.